You can look at the workspace.prm file by clicking this item in the Navigator pane, by right-clicking and choosing Open With → CloverDX Parameters Editor from the context menu. 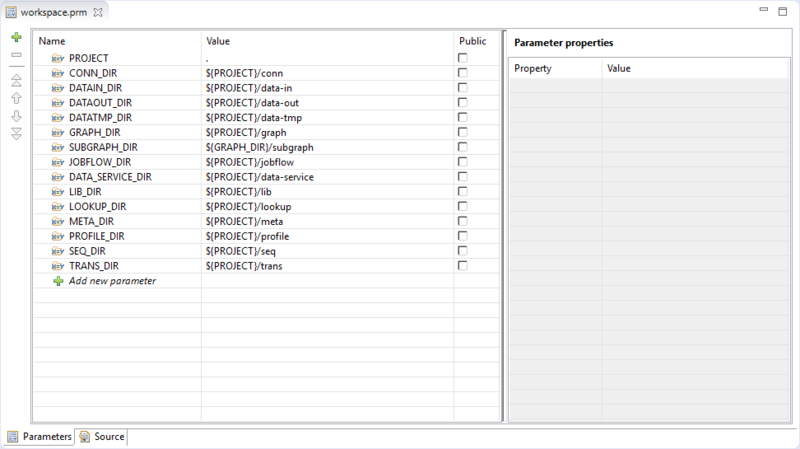 You can see the parameters of your new project. The parameters of imported projects may differ from the default parameters of a new project.